The NASA Transition Authorization Act of 2017 is a bill the Senate and House collaborated on for months, and it appropriates $19.508 billion to the space agency. NASA received $19.3 billion in 2016, or 0.5% of the total federal budget. In more than 6 years for the very first time, both chambers of Congress passed a bill that approves funding for NASA and gives the space agency new directives. According to Jeff Foust at Space News: the vital thing is that no members of the house of the Representatives spoke against the bill, when the bill presented to the senate members on March 7. 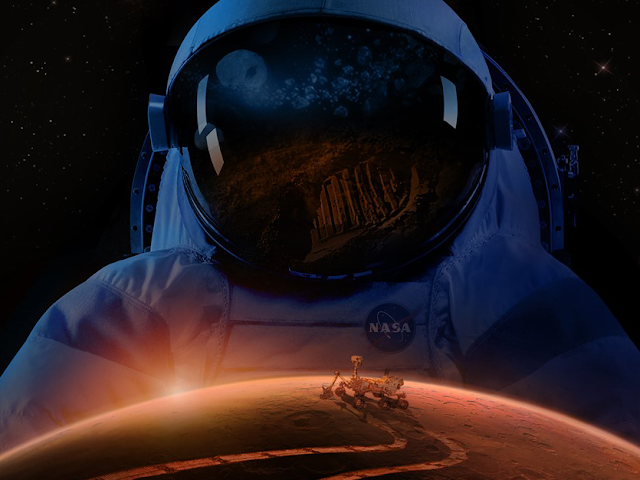 The main theme of the document that has sent to the NASA is to create a roadmap for sending humans near or on the surface of Mars in the 2030s. It also calls on the space agency to continue developing the Space Launch System (SLS), a behemoth rocket and the Orion space capsule in order to eventually go to the moon, Mars, and beyond. Now it's up to President Donald J. Trump to sign the bill into law or veto it. In his inauguration speech, President Trump has showed his support for a crewed exploration of Mars, he said he's "ready to unlock the mysteries of space." Administration officials, have said they want NASA to return to the moon in the 2020s but also planned to end the space agency's 58-year mandate to study the Earth and its climate. Trump also maintains a relatively tight collaboration with the Republican-controlled legislative branch. This bill of $10.508 billion include funding for human space exploration, space station operations, science and more. 1. "Assuring Core Capabilities For Exploration"
Launch of SLS and Orion in 2018, followed by a crewed mission to the moon in 2021, and further trips to the moon and Mars. Asks NASA for a roadmap to send people to Mars by 2033 and also points the space agency away from chasing the Asteroid Redirect Mission. 3. "Human Space Flight and Exploration Goals and Objectives"
Says it's the mission of NASA to "to expand permanent human presence beyond low-Earth orbit"
Calls on NASA to be a leader in aviation and asks the space agency to look into supersonic aircraft research that would "open new global markets and enable new transportation capabilities"
Congress backs up NASA's plan to use the car-sized rover to "help determine whether life previously existed on that planet"
Supports of NASA's plan to send a probe to Jupiter's ice-covered moon Europa. 7. "Congressional declaration of policy and purpose"
Amends previous laws to make it part of NASA's mission to "search for life's origin, evolution, distribution, and future in the universe"
8. "Extrasolar planet exploration strategy"
Asks NASA to accelerate its program to find killer asteroids in space.